Check out what's new in Call of Duty Infinite Warfare Update 1.21 for PS4 and Xbox One. Call of Duty Infinite Warfare Update 1.21 for PS4, Xbox One now available for download. The latest Infinite Warfare 1.21 update includes bug fixes and improvements to the game. The new patch has added the Venom-X (Launcher), Katana (Melee) and Nunchucks (Melee) to the game. In addition, the new patch includes a fix for the Resupply Warfighter Trait staying active for the first life if a player changed to a different Rig at the beginning of a match. The update size is around 423MB on PC, 1.47GB on Xbox One and about 1.33GB on PlayStation 4. • Infinite Warfare Update 1.21 has added a fix for the Ripper’s alternate mode state not saving after death. • Fix for the Resupply Warfighter Trait staying active for the first life if a player changed to a different Rig at the beginning of a match. • Infinite Warfare 1.21 has fixed an issue where the Deatomzier strike icon would not load properly. • Infinite Warfare version 1.21 has adjusted the frequency at which the Cryptids are spawning. • Fix for the effects of the FnF Twist of Fate card following Mephistopheles around the map. • Fix for solo players being unable repurchase Up N’ Atoms while under the influence of Perkaholic from Ghost N Skulls. • Infinite Warfare Update 1.21 has added a fix for songs not playing in the main menu correctly. 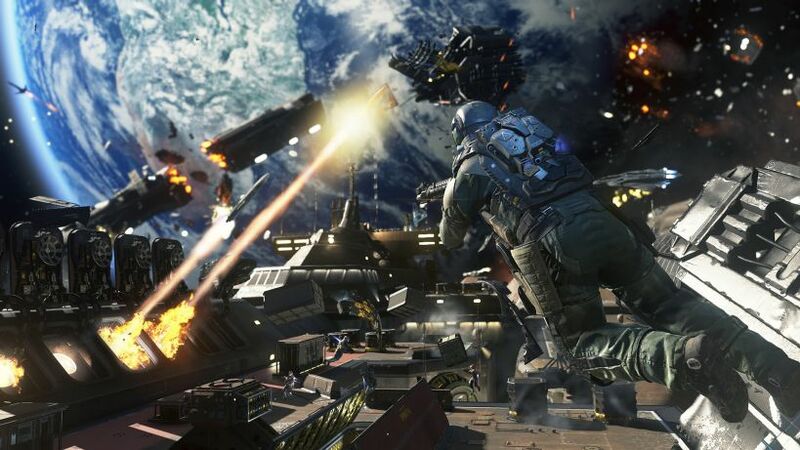 • With Infinite Warfare version 1.21, users were unable to obtain the Talisman after defeating the Rat King if the player kills the Rat King in the rafters of the arena. This has been fixed. Check your update and download Call of Duty Infinite Warfare Update 1.21 for PS4, Xbox One or PC.